The small non-profit trying to make a big difference in education! Founded in China nearly 6 years ago by Dec and Any initially as a Non-Profit English Language School, we now work with schools worldwide to provide them, and the lovely students who attend them, with free educational materials, classroom supplies, consultation and training. We believe that everyone should have access to the very best education, not just a privilege few, and over the past 6 years we are proud to say that we have helped hundreds of students get access to just that. We are looking for people to join us in this fascinating country, either as volunteers or interns, to help us grow from the tiny non-profit we are into something with the power to make real change to people lives globally. Each person who joins gives us the chance to help hundreds of more students all over the world, and grow new connections with schools that need our help. 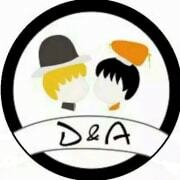 You'll also get the chance to shape what D&A will become in the future, a journey we are extremely excited to have started following successfully reaching our self-funding goals. We are looking for bright, talented and imaginative people to come and be apart of our team. You need to be outgoing, fun and ready to create work off your own back, we want to really make a difference and need people who have the same drive and belief to help us achieve this! If this seems like something you might be interested in then please get in touch with us over here or through our website www.dandaschool.com, where you can find more information about what we do and what you can get involved with! - Living Room, comfortable sofa and projector for watching movies, but you’ll normally be out having fun! - Hot water and washing facilities, for those who worry China still hasn’t caught up with the rest of the world! - Full "awake hour" translation and travel assistance by phone and Skype so you never have to worry about getting lost in translation! Upon completion of a 6 month internship successful interns will be offered the chance to set up their own branch of D&A, allowing us to extend the reach of our services and the intern the chance to move up the career ladder in the non-profit sector as a trainee branch manager. What if I can only stay a short while?